You can study for an accounting degree in West Virginia at one of the approximately 25 schools offering programs from certificate to doctoral level. One of these is the prestigious West Virginia University, whose College of Business and Economics is rated as 92nd in the country by U.S. News. Students can also choose between other regionally recognized schools such as Marshall University or Wheeling Jesuit University. Although accounting salaries in West Virginia are not as high as in neighboring states, accounting students have good opportunities within the state both in terms of accounting programs and career paths available. At the very beginning of your career, you are facing a decision that could influence your entire professional path. The accounting program you attend will determine your technical competence, your confidence on the CPA exam, your employability and your business connections. You will spend at least four years at the accounting school of your choice, so you should inform yourself thoroughly before making a decision. Firstly, choose an AACBS-accredited program that will allow you to meet the requirements for taking the CPA exam if you intend to become a Certified Public Accountant (CPA). Have a look at the university rankings and faculty credentials in order to gauge the standing of the program. Don’t stop at the statistics on the university website: ask to see student evaluations, CPA exam pass rates and graduate employment rates. These figures will tell you how effective a program is, both academically and professionally. Furthermore, you should choose a program that offers rigorous teaching and assessment coupled with hands-on experience and career focus. Internships, business competitions, field projects, student organizations, volunteering programs should abound as they are a student’s gateway to the professional world. Look out for the top recruiters at the school, especially for important firms such as the “Big Four”. And finally, make sure your school puts you in a position to reach for your dream job – and don’t settle for anything less. If you are thorough, analytic, good with numbers and not afraid of a challenge, accounting might suit you perfectly. However, becoming an accountant is no easy feat – which is why you’ll be in great company if you succeed. With motivation and hard work, you could find yourself in one of the most respectable and lucrative careers in the business world. You will first need to invest in a good accounting degree: while a four-year degree is sufficient to work in accounting, becoming a CPA requires 150 credits, usually earned over five years. You will then be faced with the CPA examination, a four-section test with notoriously low pass rates. Once you have overcome this challenge, you might have to pass an ethics examination depending on your state’s requirements. Moreover, you will need to acquire one or two years of experience in accounting before you can apply for a CPA license. Accountants can choose from a variety of career paths across the public, private and governmental sectors, and you will find that a CPA license can get you a long way in terms of pay and opportunities. West Virginia CPA candidates may sit for the CPA exam if they hold a baccalaureate or higher degree including 27 credits in accounting, 6 credits in business law, and 27 credits in business and related courses. What is more, applicant transcripts must indicate the completion of 3 credits in ethics. However, in order to be granted licensure, you will need to complete 150 credits of college education with an accounting concentration. Moreover, you will have to pass the Uniform CPA examination and to acquire one year of experience in accounting. Experience may be gained in private or public practice, government, academia or the non-profit sector. Accounting is much less lucrative in West Virginia than in the neighboring Virginia and Maryland, with an annual mean salary for accountants and auditors of $57,890 in 2013. This falls well below the national average of approximately $65,000 and matches West Virginia’s below average accounting employment levels. However, the field of accounting offers plenty of opportunities for increased compensation for those holding additional skills and experience. There is a huge variation in pay in this profession, with the lowest paid 10% of accountants earning approximately $33,000 and the highest paid 10% earning more than $90,000 in West Virginia. Salaries can also vary regionally, with averages ranging between about $53,000 and $66,000 within the state depending on the area. Ranked 59th among Southern Regional Universities by U.S. News, Marshall University offers a comprehensive AACBS-accredited accounting program through its Lewis College of Business. Undergraduate students may pursue a Bachelor of Business Administration in Accounting, which equips students with a range of skills in accounting, economics, business, taxation, auditing, law and information systems. At the graduate level, the Lewis College offers the only Master of Science in Accountancy degree available in West Virginia. This 30-credit program allows students to qualify for CPA certification and provides them with expertise in advanced accounting topics, professional ethics and research methods including electronic databases and computer auditing techniques. Marshall University also presents students with the opportunity to gain practical experience through internships and on-campus student organizations such as Beta Alpha Psi. 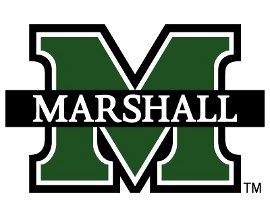 However, the number of overall Marshall students employed shortly after graduation in 2013 did not rise above 58%. Without measuring up to the top accounting schools in the country, Marshall University offers prospective accountants the expertise and confidence that can pave the way to a fruitful career. The College of Business and Economics at the West Virginia University boasts the highest CPA exam pass rate in the state (albeit below the national average), as well as the highest position in national rankings. Students can pursue a Bachelor of Science in Business Administration with a major in accounting, a Master of Professional Accountancy or a PhD program, as well as a unique graduate certificate in Forensic Accounting and Fraud Examination. While the undergraduate program equips students with business knowledge and professional skills, the Master of Professional Accounting takes them one step closer to a successful career by allowing them to meet the 150-credit requirement for CPA certification. The MPA program benefits from a separate AACBS accreditation in addition to the school’s accreditation, which is a marker of its quality. With 57 Fortune 500 companies present on-campus as recruiters and plenty of internship opportunities available, students at the West Virginia University are in a great position to kick-start their career, as indicated by the school’s excellent graduate placement rates.